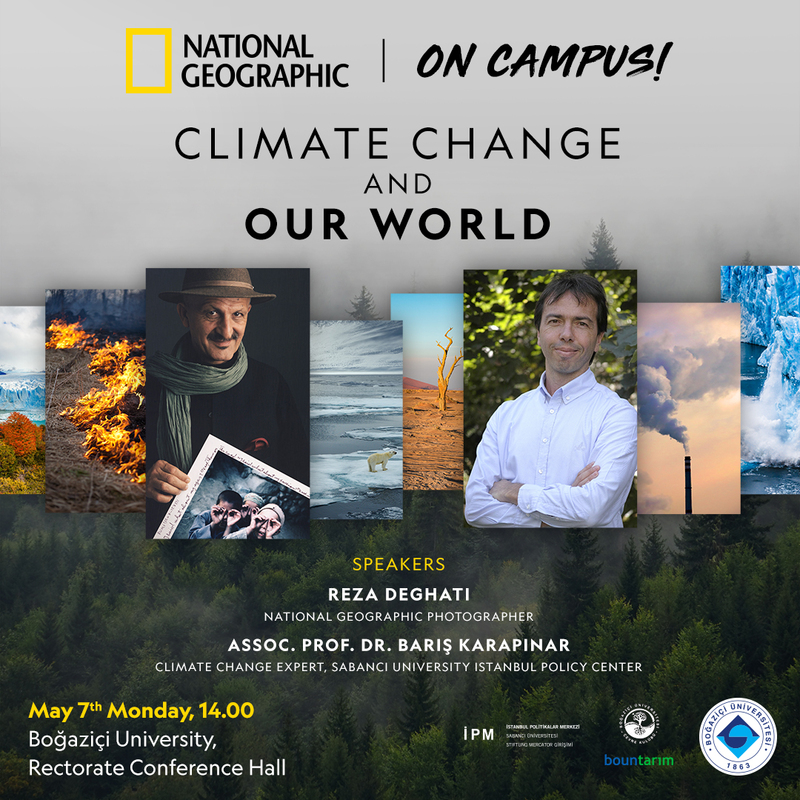 The joint event by Boğaziçi University Innovative Agribusiness Platform, Sabancı University Istanbul Policy Center and National Geographic, will bring together photographer and author Reza Deghati, whose photographs appeared on the covers of various magazines such as National Geographic, Time Magazine and Newsweek, and 2017/18 Mercator-IPC Fellow Barış Karapınar, climate change expert from the United Nations Intergovernmental Panel on Climate Change. The panelists will discuss the effects of climate change on food security and poverty.In this event Reza and Barış will synthesise remarkable human stories from around the world with scientific findings on how climate change affects impoverished societies. While Reza will reflect on the damage caused by fossil fuels in the eyes of a poor child from Afghanistan, Barış will discuss, in the light of scientific studies, the recent trends in climate change and their impacts. NOTE: This event is open to participants from outside the university. Participants need to register for the event using the link below. Bu uygulama BÜ BİM Web Birimi tarafından geliştirilmiştir.